Latinbob ought to know. 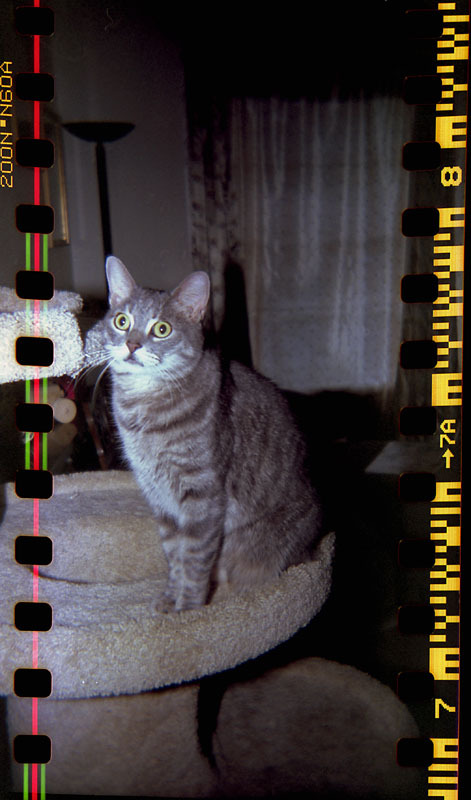 He is the resident Holga expert around here. He will be along soon and let ya know. The lettering can be confusing. The S was the old plastic lens Holga, and the N is the newer one. The N has a tripod mount and bulb mode that the S lacked. The N also has interchangeable 6x6 and 6x4.5 masks. The G does mean it has a glass lens, and those are usually called Wocas instead of Holgas. There is also the F for flash and CF for color flash, which has a nifty built-in color wheel so you can change the flash color. If you are in the market for a Holga, you might also check out what Randy Smith at www.holgamods.com is offering. He goes through the Holga and does some modifications to make it more useable. They are fun cameras to use. Please let me know if you need any more information. I love Holgas! Another fun thing you can do with a Holga is run 35mm film through it and make panoramas. You have to tape up the film counter window and guesstimate the next frame location, but the results are unique. Hey, those are pretty cool. 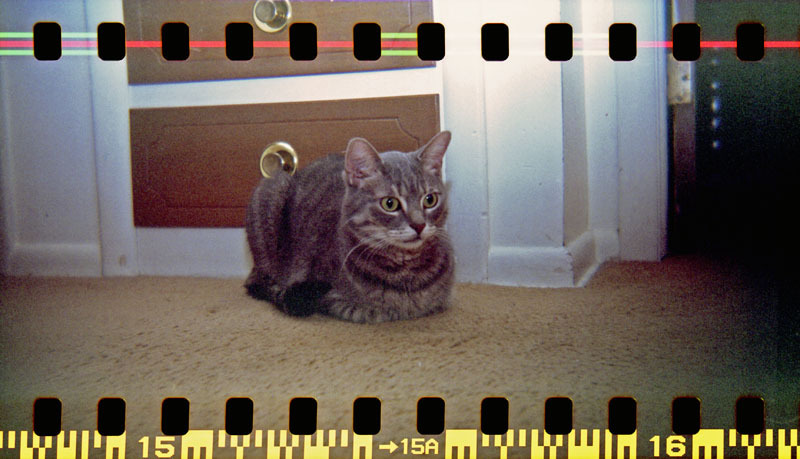 The Holga images are different and have no really comparison almost. Are the green and red streaks on the film, or a by product of what you were doing? And you know, now somebody is gonna want a PS action or template to put them sprocket holes on thei digital images now. And you're gonna force Blinky to go get one of these Holgas, aren't ya? The lines are a by-product of scanning. I need to try slide film too, but it is much less forgiving. I think Blinky needs a Holga. You do too. They are fun! You're right, he is... a Lubi too. I'll have to set my darkroom backup and buy another stinkin' scanner... Cuz you know what? I don't care who you are, that's photography right there. Alright LB, no more low key, slippin'em in there. Start some threads with this stuff. Let's see whatcha got. Yeah Latinbob. Blinky knows you got some wickedly cool stuff hidden back. Maybe even an award winner?